Price: £5950 + VAT for standard size shown. 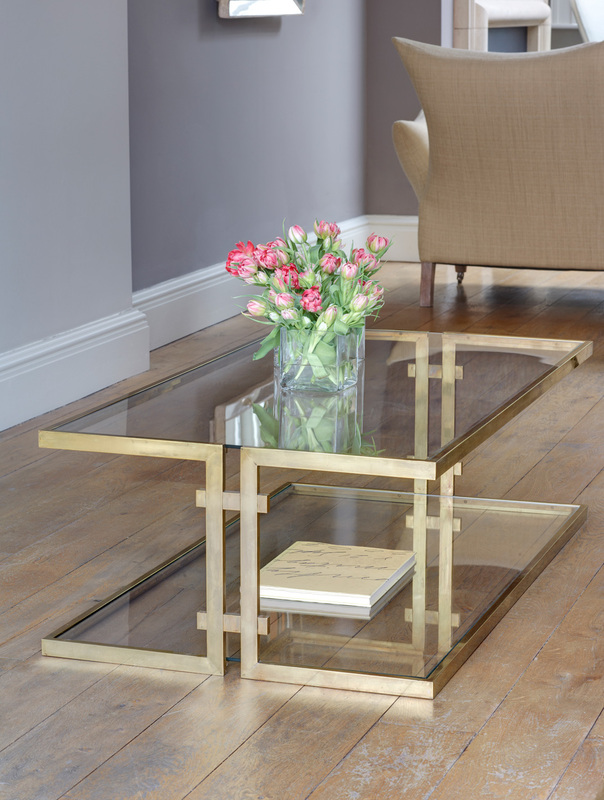 Made to order lacquered brass cantilever framed coffee table with reinforced clear glass top and shelf. Also available in silver plated or bronzed finish.